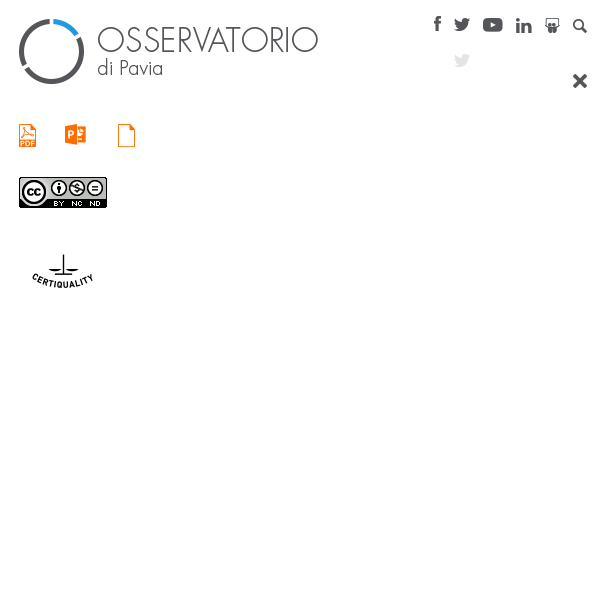 The Osservatorio di Pavia (hereinafter OdP) was founded in 1994 by C.A.R.E.S. (Cooperative for Social and Economical Analysis and Research) together with a group of professors of Social Sciences of the University of Pavia. Since then, it has become an internationally recognised institute for the analysis and research on mass communication and election campaigns. The institute is an independent non-profit organisation. Its main objective is the promotion of social, cultural and political pluralism. It employs some 30 researchers and a network of scholars in social and media studies. The OdP works in collaboration with the University of Pavia; in partnership they developed a quantitative methodology for the observation and the analysis of political communication in the mass media. This methodological effort has led to a long-term co-operation with RAI – the Italian public service broadcasting – for which the OdP has been carrying out media monitoring activities since 1994. The OdP is also engaged in a wide range of activities related to mass communication, including media monitoring on a variety of topics, legal analysis and researches. Thanks to the experience achieved at national level, the OdP has gained international credit as a major centre of media analysis and since 1997 the institute collaborates with a number of international organisations (the United Nations, the European Commission, the Organisation for Security and Cooperation in Europe – OSCE, the Council of Europe, International Foundation for Election Systems – IFES, Election Reform International Services – ERIS, International Media Support – IMS, Democracy Reporting International – DRI) in the frame of their activities of capacity building and technical assistance for democratic development and human rights as well as their election observation missions. The OdP is involved in educational and training activities. Many of its researchers are regularly employed as lecturers by several secondary and higher education institutions, including the Universities of: Milan – Bicocca, Pavia, Pisa, Bergamo, London Metropolitan University, London Westminster, and Rome University – Roma III, Tunis.